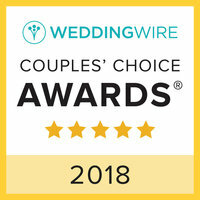 With so many wonderful venues and locations to choose from, wedding planning can be overwhelming to say the least. 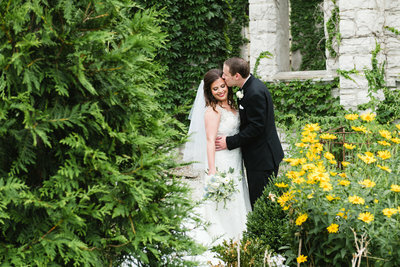 Initially, Emily + Tyler were planning their special day here in St. Louis, but as time went on they came to find they were more of a low-key mountain couple. Even during our first meeting they mentioned their love of travel, and fondness for Colorado in particular. 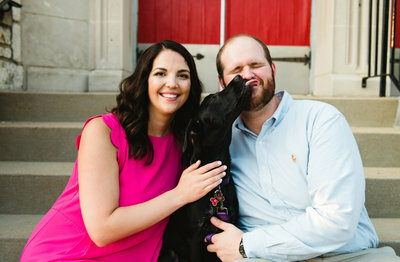 I received an email not too long after their engagement session with the news that they would be moving their wedding celebration to Steamboat Springs, and would I be up for coming along? It was an easy YES! I was so glad to hear that they were following their hearts and creating the wedding of their dreams. Daniel and I are always up for an adventure! 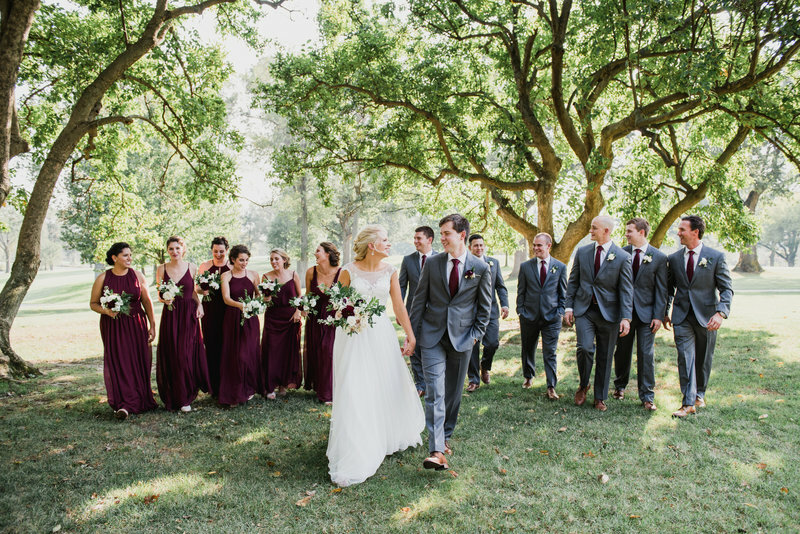 Emily + Tyler put a lot of thought and care into planning their destination wedding. The hotel they chose for all of their guests was in walking distance from the main street of Steamboat and not far from the adorable air bnb that they rented for themselves. The town itself was bigger than we expected and had lots of great shops and restaurants to explore – not to mention a short hike to a waterfall nearby! 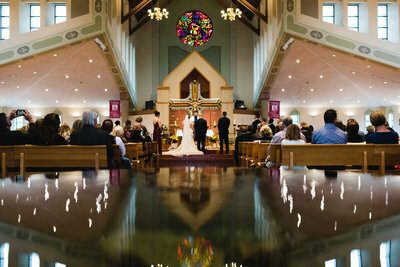 Everyone was able to settle in and enjoy their surroundings as wedding day approached. One thing in particular that Daniel and I enjoyed was the view of the night sky. Walking back to our hotel after dinner the first night, we looked up and there was the Milky Way! I can not remember a time I had seen it so clearly and it was just breathtaking. Being at a higher altitude and having less light pollution certainly makes a difference. The next morning we awoke and wedding day had arrived! The ceremony took place outdoors (naturally) in Steamboat lake park, which was an easy scenic drive outside of town. With the mountains and lake as our backdrop, it was an absolutely perfect setting. Vibrant yellow aspens dotted the mountainsides alongside the evergreens, creating a gorgeous contrasting texture. They planned a very special ceremony and I loved that Emily’s grandfather walked her down the aisle and her uncle officiated. Happy tears were shed as they read their vows to one another and at last (at 8,100 feet) Emily + Tyler became husband and wife! Once the ceremony concluded we had time for pictures around the park before boarding the bus back into town for the reception. We had a great time with the entire wedding party and were in photographer’s heaven! Being enveloped in color from the aspen trees and mountains is not something we will soon forget. Back in Steamboat Springs everyone gathered at Salt + Lime for the reception, which I must say has some seriously tasty drinks and food! Emily + Tyler had told us about the special tequila they had chosen for their toasts and it did not disappoint! I highly recommend stopping into Salt + Lime if you find yourself in Steamboat Springs. The service was excellent and everyone went above and beyond to make all of us feel right at home. After dinner, toasts, and cake cutting, we all headed up to the roof deck for their first dance and a great sunset view. It was truly an unforgettable night of celebration!